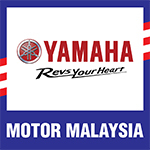 We would please to announce that the notification letters on YZF-R25 factory modification campaign have been released to all the owners. Kindly refer the Authorized Dealer List as shown below to conduct the factory modification campaign. To the owners who have not received the notification letters, kindly wait for the arrival of the letter to conduct the factory modification campaign.